Woodlands Transport has been in the business of transporting commuters safely and reliably for the past 40 years. Our transport services division provides bus and construction vehicles to local and foreign businesses and schools, while our travel and tourism division functions as both a tour coach operator and travel agency. We also have other divisions encompassing businesses such as pawnbroking and laundry services. With transport services at the core of our business, we are able to consistently deliver on our promises by always ensuring the highest standards of service. 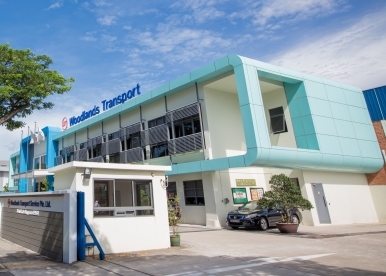 Woodlands Transport owns and operates its own engineering workshop. This advanced facility provides a full range of engineering and repair services that upkeep and maintain our reliable fleet of vehicles. Partnering with reputable manufacturers and suppliers, we provide our customers with vehicles that are always in prime condition to serve their transportation needs. Our technically-trained staff in strategically-located workshops ensures that downtime is minimised, and this underpins the reliability of our transportation services. Our company was founded on the values of sincerity, honesty and reliability, and a passion for service excellence. 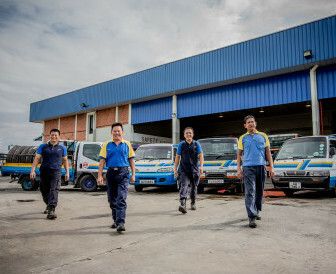 From our humble beginnings with only 3 buses in 1974, we have grown to become an award-winning SME, and the largest private transport operator in Singapore with a fleet of over 1,300 vehicles on the roads daily. As a homegrown company of more than 40 years, we have also actively contributed to the building of our nation supporting the transport needs of various Singapore landmarks such as Sentosa and Changi Airport. We hold our humble beginnings close to our heart but continue to achieve the highest standards in all our endeavours. Woodlands Transport prides itself as a great place to work. We work like a family placing a focus on trust and values. With a strong and dedicated leadership team providing clear vision, we are able to nurture a committed and effective workforce moving in one direction. We enjoy an exceptionally low staff turnover rate, which ensures business continuity. We believe in and invest in our people through our structured training and people development programmes. Our HR policies offer competitive remuneration, benefits and rewards. Our talent development programme encourages staff to grow their careers with us. Many members of our staff have risen through the ranks to managerial positions. We support a family-oriented culture that promotes work-life balance and open communication.We nurture a sense of belonging and loyalty in our staff, including bus captains, by frequently communicating with them to gain their invaluable feedback and opinions. Woodlands Transport is committed to making a positive impact in the community we operate in. Our senior management team paves the way through active grassroots and community involvement. 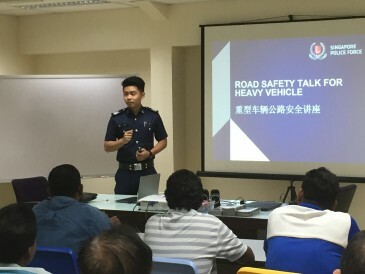 We encourage safe driving and support initiatives that promote traffic safety such as the Annual Anti-Drinking & Road Safety campaign by the Traffic Police. To give back to the community, we also regularly support and collaborate with non-profit organisations.